For 72 hours right now July 30 to August 1, Shopee, the leading e-commerce platform in Southeast Asia and Taiwan, is back to help loyal users stretch their salaries with its monthly Payday Sale. This month, we are going bigger and better with 72 hours of free shipping, all-day vouchers, and up to 80% discounts across a wide range of categories ranging from electronics to fashion. For more information on: Shopee’s Payday Sale, visit https://shopee.ph/paydaysalejuly. 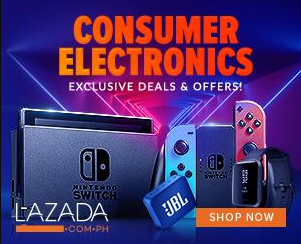 Shopee’s Gadget Zone, visit https://shopee.ph/m/gadgetzone. For more information on Shopee, visit https://shopee.ph Download the Shopee app for free on Apple App Store or Google Play Store.